Saitama is a city north of Tokyo, capital of the homonymous prefecture, with over 1 million inhabitants and fully part of the metropolitan area of Tokyo (Greater Tokyo). It is considered primarily a "bedroom community", a suburb of Tokyo, and it really is this. One of the few interesting neighborhoods (maybe the only one) is Ōmiya. Omiya is located about 25 km from Tokyo and is a commercially vibrant area. The main station of the district, as well a important and busy railway station, from where also pass various shinkansen, is Ōmiya station. 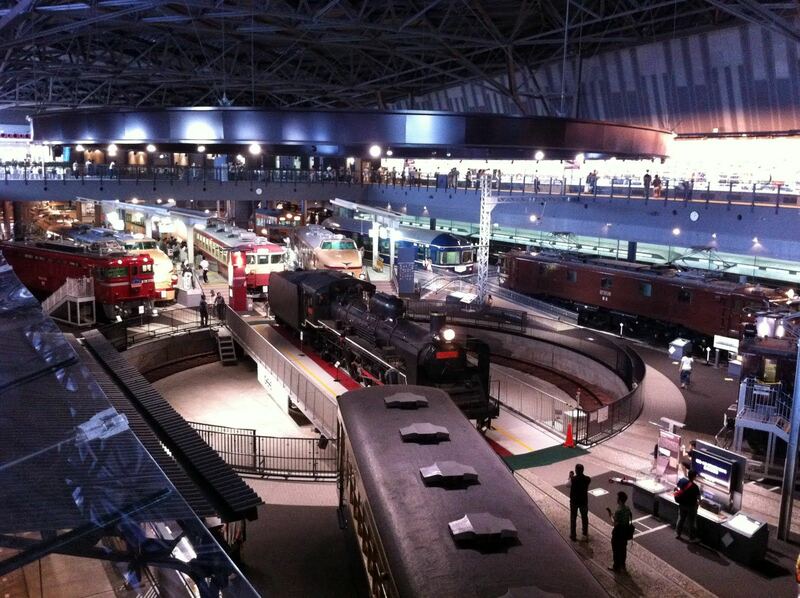 A museum of JR East, it's the largest railway museum in Japan. It is located about 2 km from the station in Omiya. If you don't want to walk, from Omiya station you can take the New Shuttle monorail (Saitama New Urban Transit) and get off at Tetsudō-Hakubutsukan Station just in front of the museum. Inside there are numerous exemplars of trains, 36 to be exact, many of whom can also be visited inside. The collection ranges in the time, from the first locomotive to operate in Japan, imported from Great Britain in 1871, up to shinkansen. In addition to trains, there are various information spaces (mostly in Japanese), train simulators (500 yen), a giant diorama of a railway (the largest in Japan, 25x8 meters), souvenir shops and ekiben shops (particular bento usually sold inside the stations or on trains) and even a restaurant inside a "dining car". A museum very interesting if you love or simply like trains and railways. 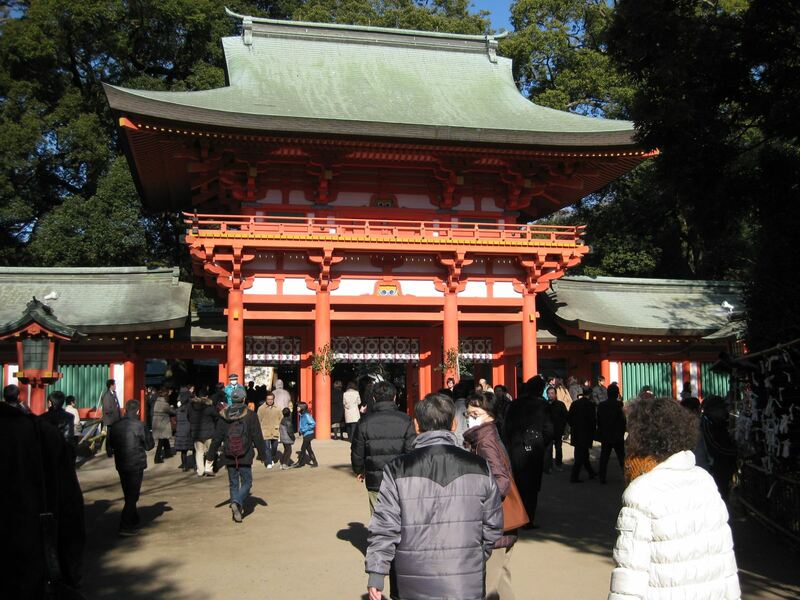 The Hikawa Jinja of Saitama is one of the most important shinto shrines of the whole Kanto region. Some of you might have noticed that there are many shrines (usually of little importance) who have this name (Hikawa), for example, I visited one in Tokyo in Akasaka, in total thery are 290. Well then, the most "important" of all is precisely that of Saitama, which is said to have been founded in 473 BC. The shrine is surrounded by trees and can be reached walking along a long avenue (about 1 km) that begins just east of Omiya station. It is closed after 17:30 (after 18:00 in summer). North of the shrine there is the Omiya koen (Omiya park). This is a very large park, the most important of Saitama, which also includes some large sports facilities. 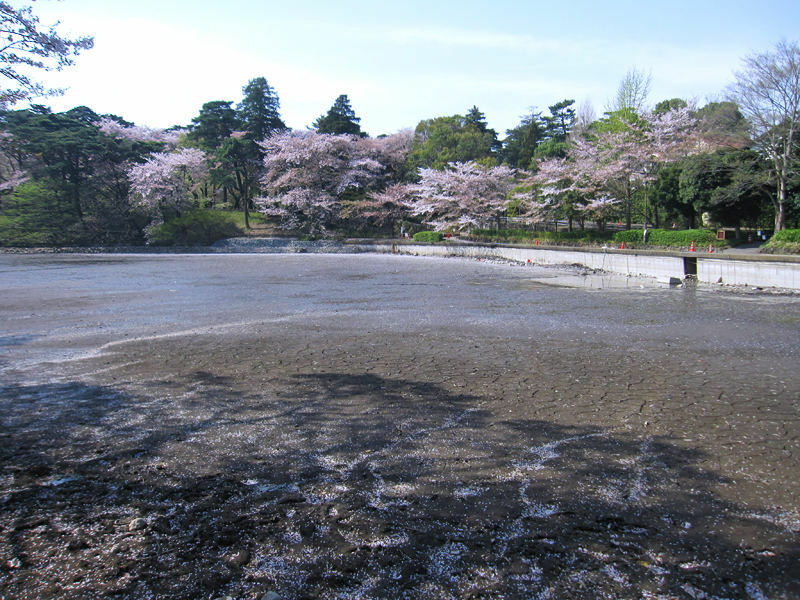 This park is beautiful and also very crowded especially during hanami, it is infact placed in the list of the 100 best places to admire the blossoming cherry trees (sakura). Omiya Bonsai Village is a small area of Saitama just north of Omiyakoen station, the third stop along the Tobu Noda Line leaving from Omiya station. It is the only zone in the area of Tokyo where to go if you love bonsai, and one of the most important in Japan. Many nurseries have focused in this area since 1925, although today they are much less than in the past. Two of the most important where you can see and buy a bonsai are Seiko-en (this is their website) and Kyuka-en (english web site). All nurseries are closed on Thursdays. 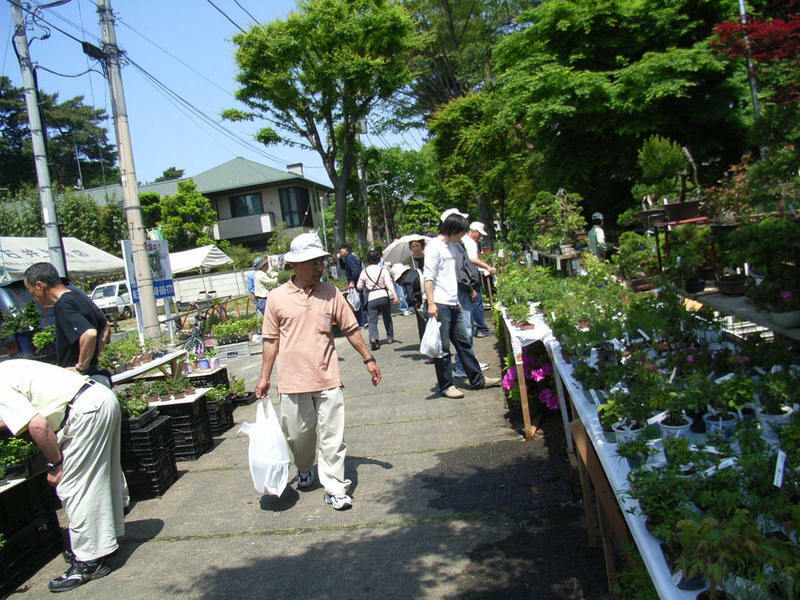 From May 3 to 5, every year, the Omiya Bonsai Festival takes place in Omiya bonsai village, an event during which the streets of the neighborhood are filled with cultivators from all over Japan to display their bonsai. 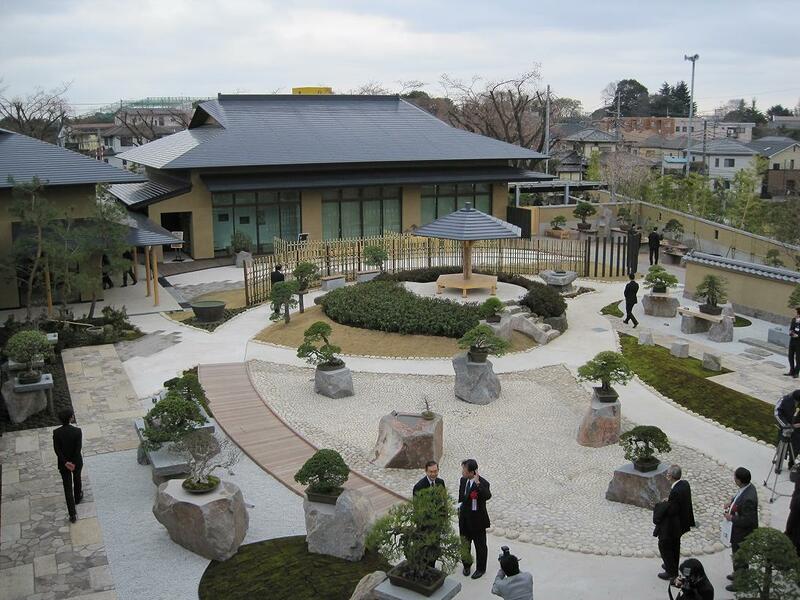 In 2010 in this zone the Bonsai Art Museum was opened (admission 300 yen, opening hours 9-16:30 mar-oct, 9-16 nov-feb, closed on Thursdays), you can find further information on the collection on display in this museum at the excellent official website in english. The museum is quite small and you need about half an hour to visit it. The Takasaki line and the Utsunomiya line leave from Ueno station and reach Omiya in 26/27 minutes, the ticket costs 450 yen. The Shonan-Shinjuku Line connects Omiya station to Ikebukuro (22 minutes, 380 yen), Shinjuku (28 minutes, 450 yen), Shibuya (34 minutes, 540 yen) and also to Yokohama (63 minutes, 890 yen). The Saikyō Line connects Omiya station to Ikebukuro (23 minutes, 380 yen), Shinjuku (29 minutes, 450 yen), Shibuya (36 minutes, 540 yen). The travel times I wrote are for "Rapid" trains, there are also local trains that take much longer time, if you have troubles recognizing the various types of trains it's better to take always the Shonan-Shinjuku line. The Keihin-Tōhoku Line connects Omiya station to various station in Tokyo: Shinagawa, Shinbashi, Yurakucho, Tokyo station, Akihabara, and others. However, this line makes many stops and is quite slow, it is usually faster to reach Ueno station and from there take the Utsonomiya or the Takasaki Line.